Any woman over the age of 30 with a new symptom. Younger women may have a mammogram if there is a strong family history of breast cancer. Mammography is not typically done in pregnant or breastfeeding women, but in certain cases it may be recommended. Women should have a mammogram every 12-18 months. Those with a strong family history should have a mammogram every year. Ultrasound should be performed at the same time. What should I do if I have implants? Mammography is still the initial test in women over 40 years presenting for assessment. Mammography is safe to perform with implants. What should I do if I am pregnant or breastfeeding? Mammography is a diagnostic tool that uses X-rays to examine the breast. It is a commonly used method for early detection and staging of breast cancer, and is a well established and accepted imaging technique. Mammography is a type of breast X-ray using very low dose radiation. Mammography uses two different angles to assess the breast tissue and produce an X-ray that is interpreted by the radiologist. Tomosynthesis is digital mammography that uses a new technique to generate slices through the breast tissue, allowing for a more detailed assessment, particularly in women with dense tissue. 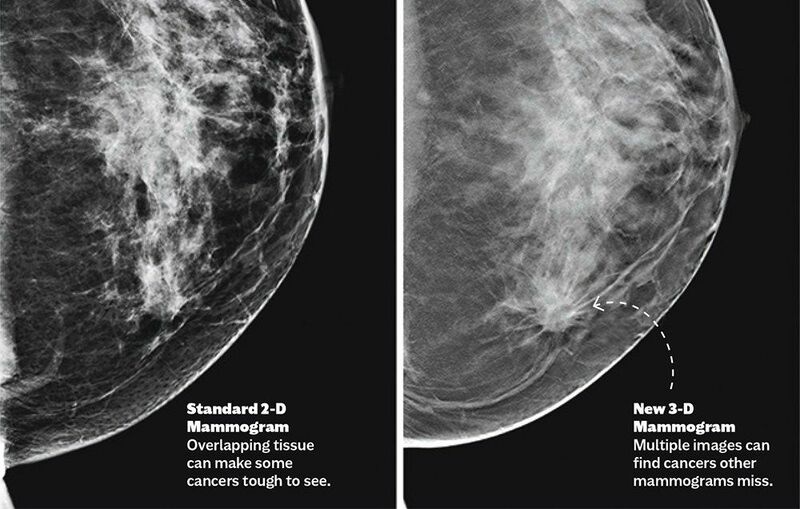 This advanced technique provides more clarity and information about abnormalities that can be seen on standard mammography. The test best suited for your personal needs will be decided by your GP or specialist, working together in consultation with a radiologist. Both the above techniques use breast compression to get the best breast images possible. This may be slightly uncomfortable, but should not be painful. The benefits of adequate compression include clearer images and less radiation. Ultrasound is a safe and painless way to get pictures of the inside of the breast using soundwaves. Gel is placed on the skin and a small probe connected to the ultrasound machine transmits and receives the soundwaves. Ultrasound is very good at assessing whether a lump is fluid-filled or solid. 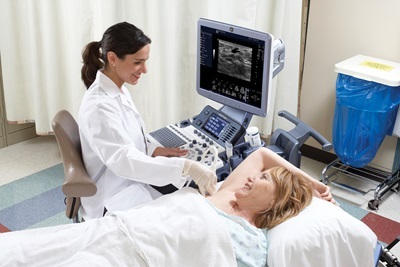 Ultrasound is often used in conjunction with other tests such as mammography. In pregnant and young women, ultrasound may be used as the initial test. MRI uses a strong magnetic field with radio frequency pulses. The test involves lying face down on a special platform that moves into the machine. It requires you to lie still in this position for 30 minutes. Contrast injection may be given. 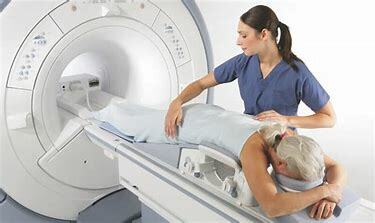 MRI is used in special circumstances in conjunction with other tests. It is commonly used on women with implants to check for rupture, or women with high risk family history. MRI is also used to assess the size and spread of a breast cancer and to compliment findings on other tests. For more information, please visit IMI Radiology. Enter your name and email and download it FREE today!